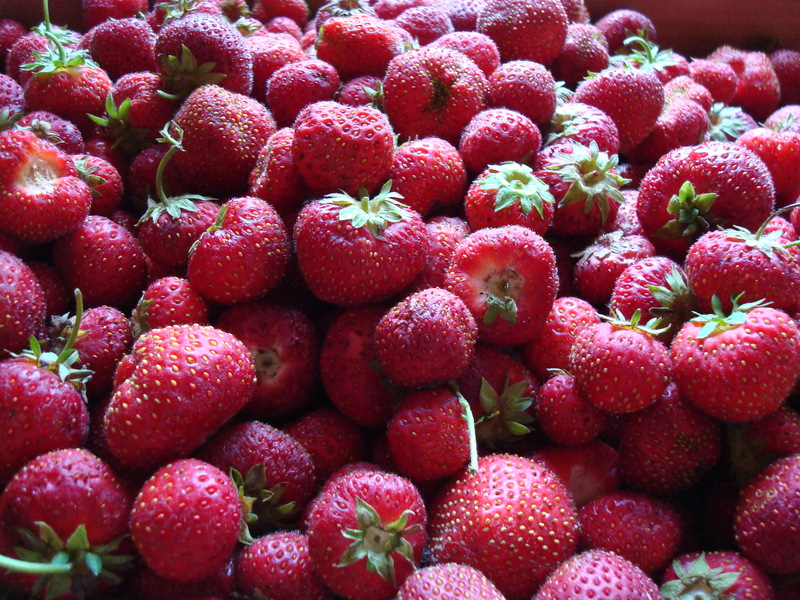 There’s going to be a moratorium on strawberries in my house soon. Not because I don’t love them (I do) but because I have eaten a lot of them recently. A LOT. Today it’ll be my grandma’s strawberry pie and every pie starts with a crust. This pie is an easy one because the only baking required is for the crust. Of course, you could buy one of those pre-made crusts but I’m a big fan of doing as much as possible from scratch and when it’s so easy, why not? 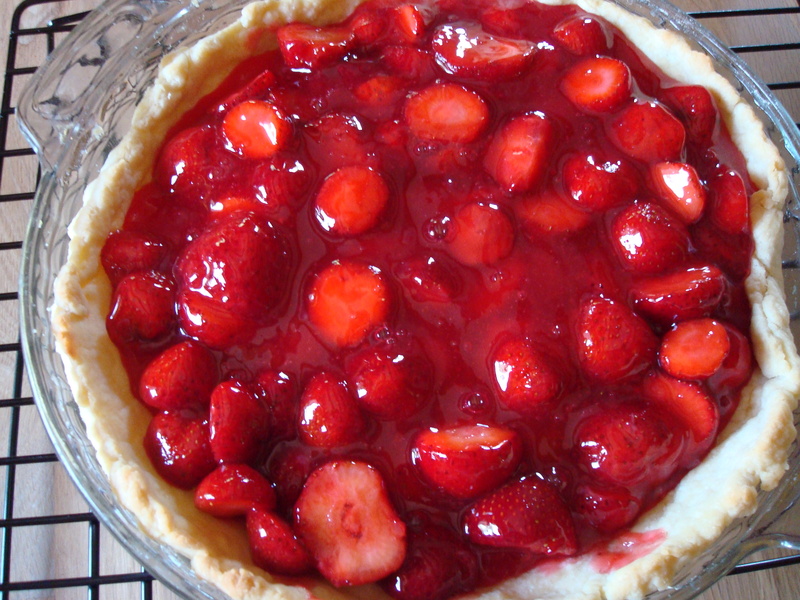 Then you stir in strawberries and pour the mixture in the pre-baked pie crust. Let it cool in the fridge for a few hours and eat. Easy as you-know-what. Boil sugar, cornstartch, salt, water, and light corn syrup in medium saucepan over medium-high heat until thick and clear. 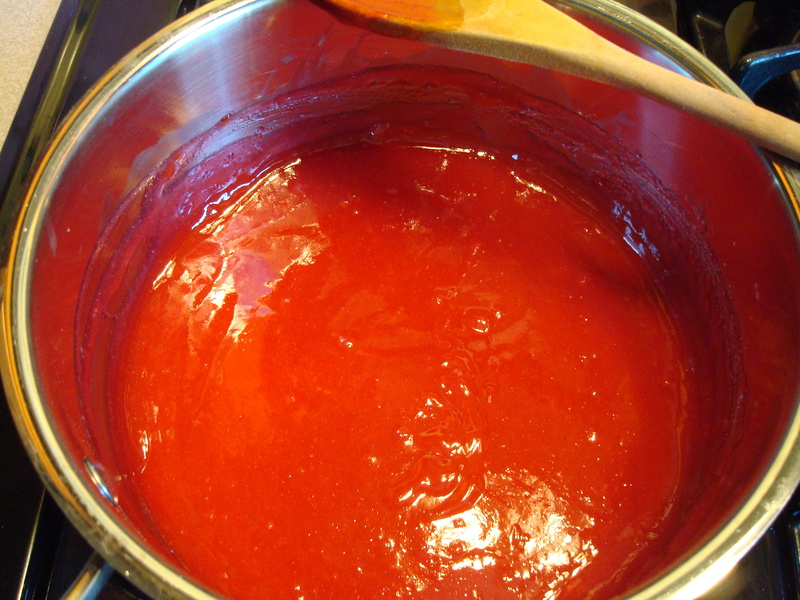 Remove from heat and add the small package of strawberry Jell-o. Cool. Fold in strawberries and put mixture in baked piecrust. Chill to set, approximately two hours. Top with whipped cream if desired. Sift flour and salt into a mixing bowl. Cut in butter with a pastry knife, two knives scissor-style, or food processor with dough blade. When mixture resembles peas, add water slowly and blend with fork. Shape dough into a ball and roll out to size slightly larger than pie plate. 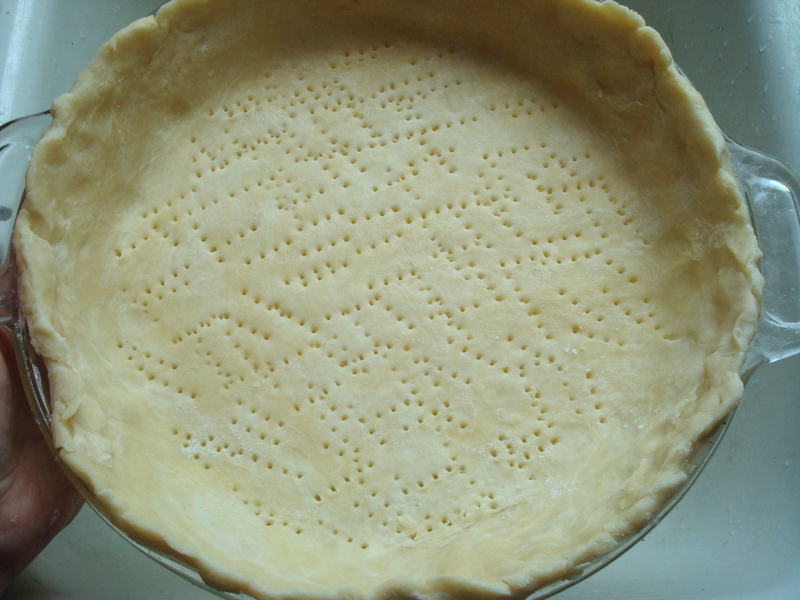 Place dough in pie plate and pierce with fork. Bake 450 degrees for 10 to 12 minutes. I never ever ever use corn syrup and I sub in agave fot that nasty syrup. Also, I prefer tapioca to cornstarch. Healthier by these tweaks. I hear Dianne’s suggestion, but this seems like one of those southern recipes where your health takes a backseat to the deliciousness on your plate. Making it!! A little corn byproduct isn’t going to do much harm, though I do try to avoid it too. I actually had to buy cornstarch just for this recipe but have heard before that tapioca can be substituted as a thickener so next time I will try that. I just wanted to stay true to Grandma Litty’s recipe this go-round! I made this for dessert, and it was delish. Best idea ever!